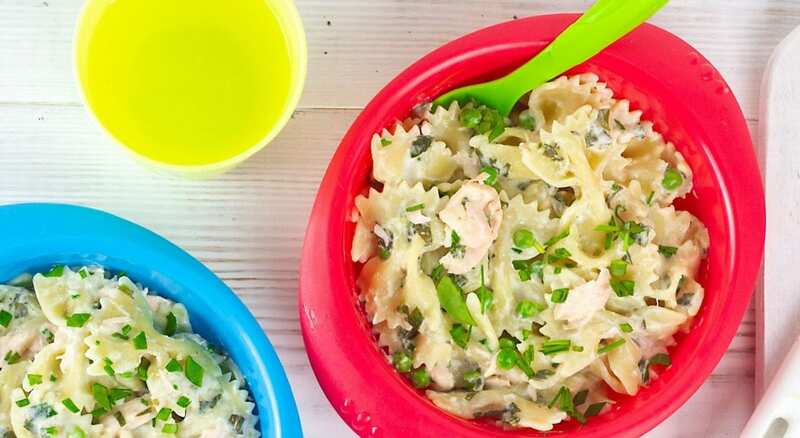 Our creamy salmon pasta is the perfect quick and healthy weeknight meal. 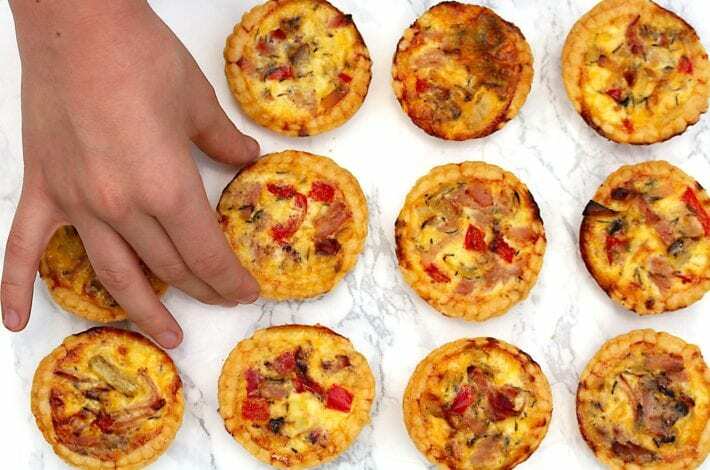 It all comes together in about 10 minutes, and both kids and adults will appreciate the creamy texture and zingy lemon flavour. This dish ticks all the food pyramid boxes…fish, vegetables, dairy and healthy carbohydrates. Salmon is one of the best sources of Omega 3 which has been shown to improve brain health in early life. 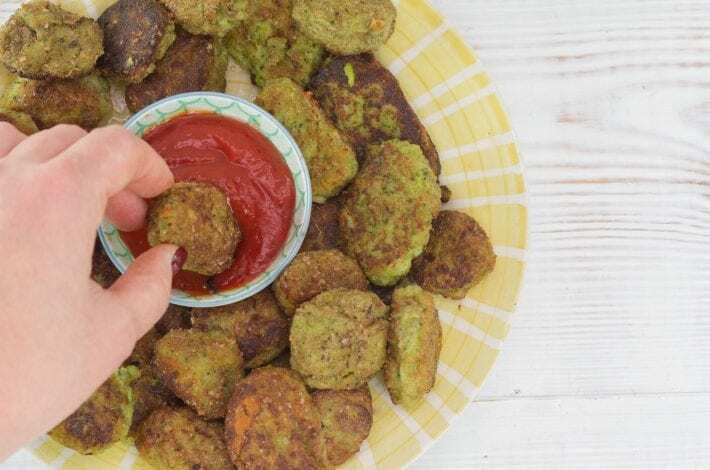 And we haven’t forgotten the greens…peas and a good handful of spinach will ensure that everyone gets their helping of veggies within this tasty dish. 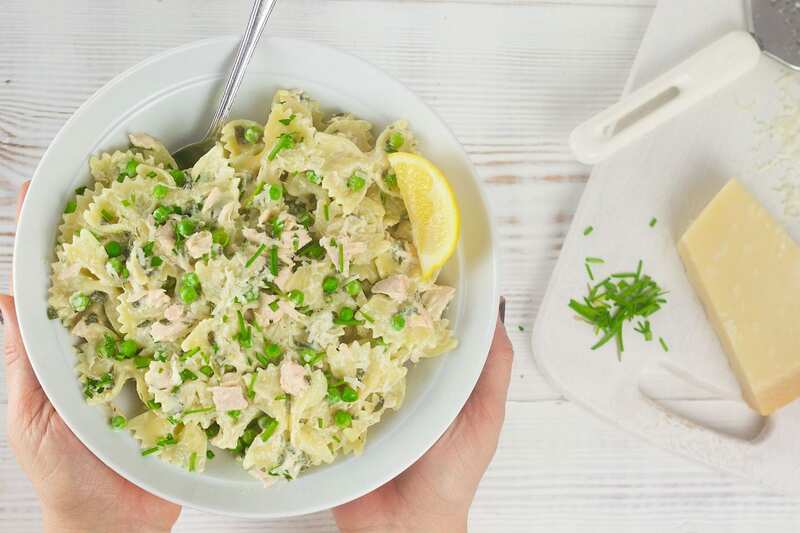 We’ve used crème fraîche over the traditional way of making creamy salmon pasta (which was with double cream). This gives it a lighter and healthier creamy sauce. 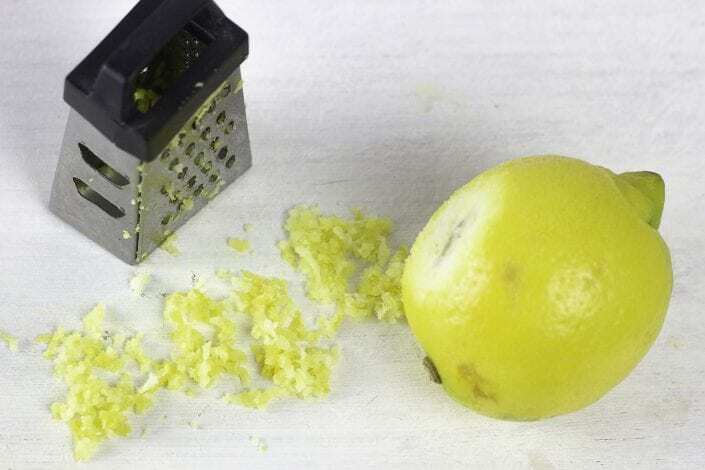 Top it all off with a squeeze of lemon and you have a dish that everyone will love! 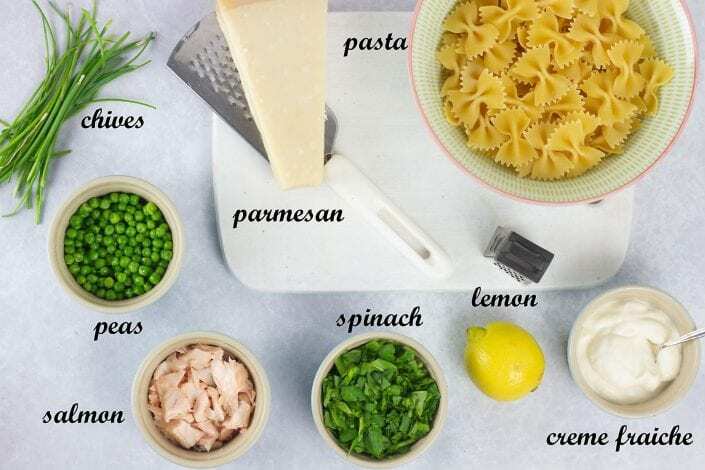 Boil the pasta bows and peas for 10 minutes in a large saucepan. Steam the salmon fillet. We put a steamer above the boiling pasta but you can cook it however is easiest for you. After 10 minutes remove the salmon, check it’s cooked through, and drain the pasta and peas. Put them all to one side. In a large saute pan heat the olive oil and saute spinach over medium heat. Add the crème fraîche to the spinach and heat for a minute. Stir in the cooked salmon, peas, Parmesan cheese, chopped chives and lemon zest. Add the pasta bows, heat until everything is warm and creamy. Serve in deep plates or bowls. 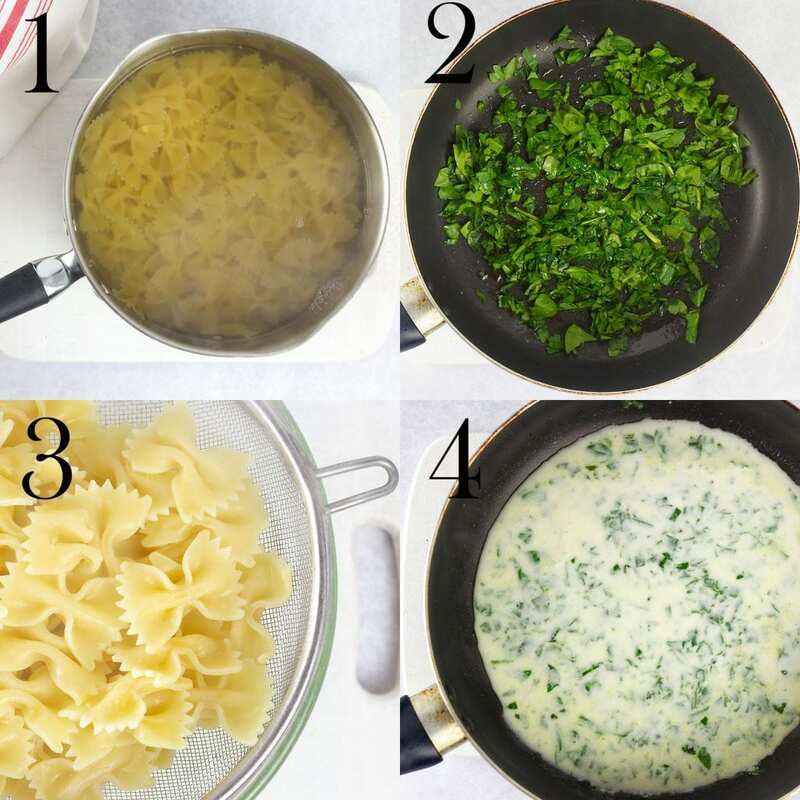 Boil the pasta bows and peas for 10 minutes in a large saucepan. Steam the salmon fillet separately. 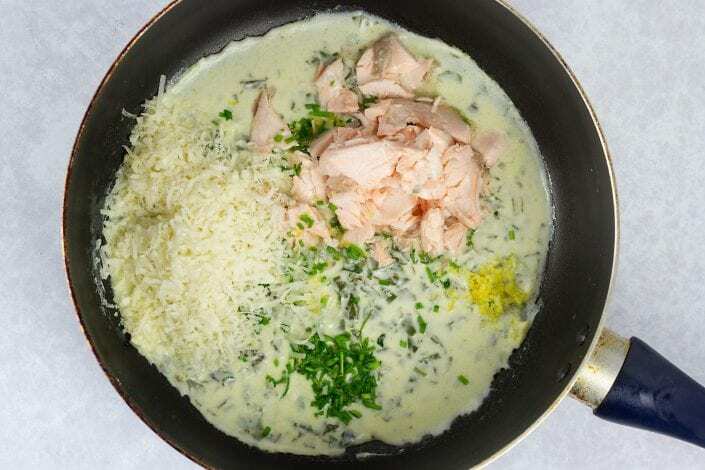 Now add your salmon, parmesan cheese, chives and lemon zest to the sauce. Give it all a good stir for a minute. Stir in the peas and salmon. Mix everything up with a wooden spoon and heat over low heat until everything is warm and creamy. 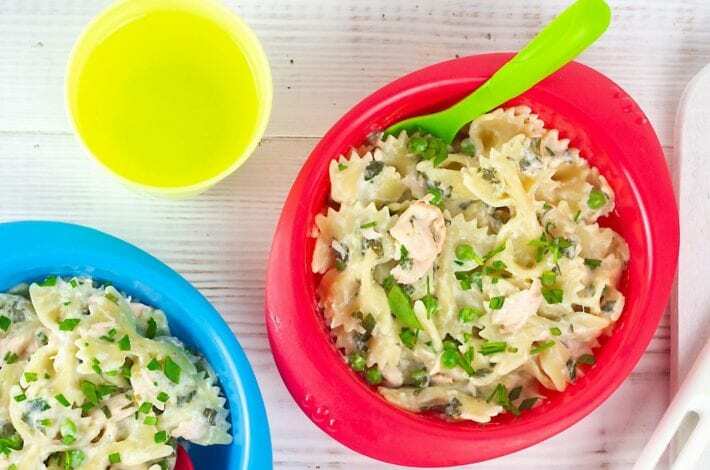 Serve up in bowls and enjoy this amazingly tasty salmon pasta dish! 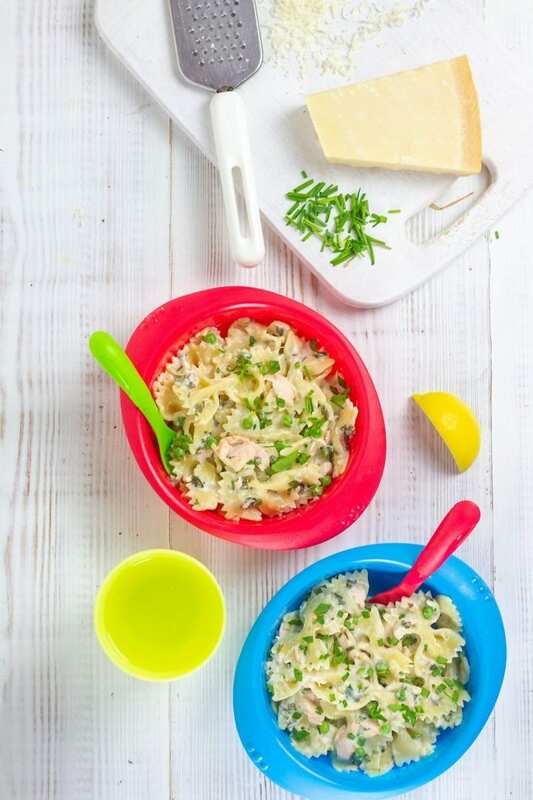 For another quick and easy family dinner recipe see our No stir risotto with salmon, leeks and peas which can be enjoyed by even the youngest family members. 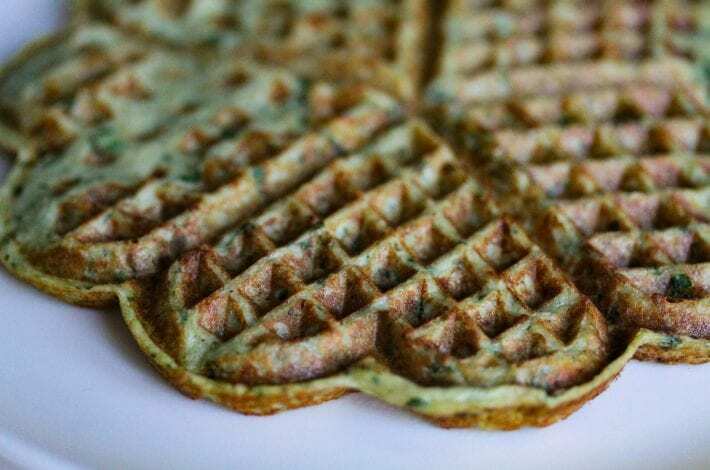 As it has no dairy or eggs it can be made for baby as they move onto solids.